Quiet Country setting close to the ocean with lots of room for a large family, Vacation home or great potential for a B & B. Situated on a 1/2 acre lot with mature trees and private back yard. The oversized garage is large enough to hold your vehicles and your toys and still have room! Home has had many upgrades including a newer wood/oil combination furnace, newer entrance doors with stained glass inserts, new water softener, all new toilets, some new flooring. Upstairs has 3 large bedrooms, one with an attached sitting room, a small office and a full bath with a jet tub. 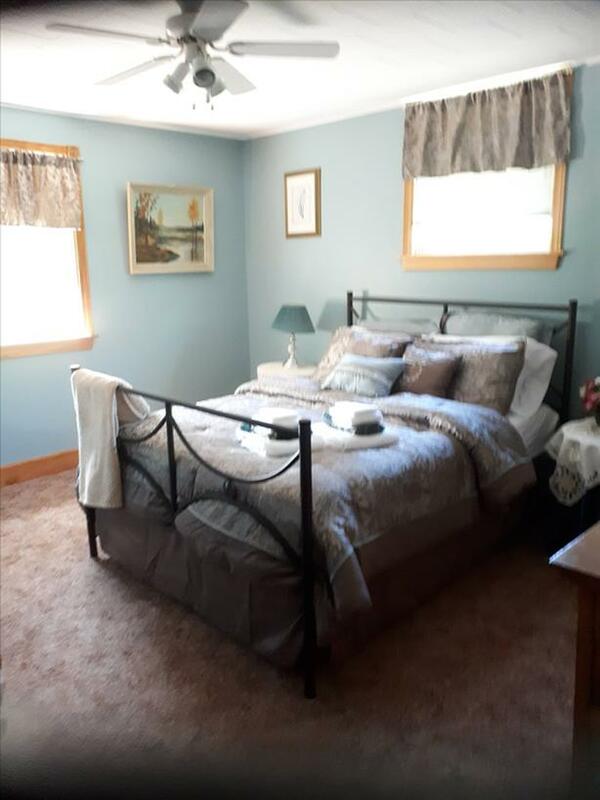 The main floor has a Master Bedroom with 1/2 bath, Large dining room or dining/living combo, a beautiful sunny family room, kitchen, laundry, 3/4 bath with marble floor, and another small office! Basement is a full undeveloped good cinder block basement. Some Hardwood floors and beautiful wood trims. Fresh paint throughout most of the interior and new kitchen aid dishwasher. The exterior does need some work. Message me for a link for more pictures!